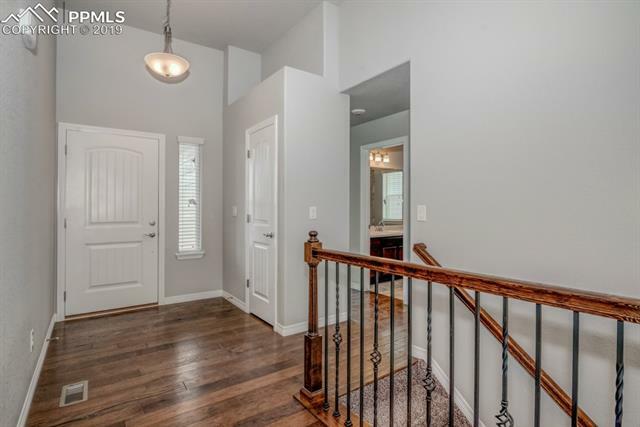 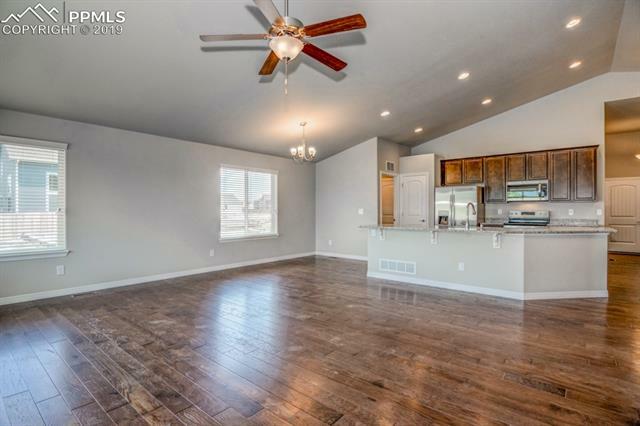 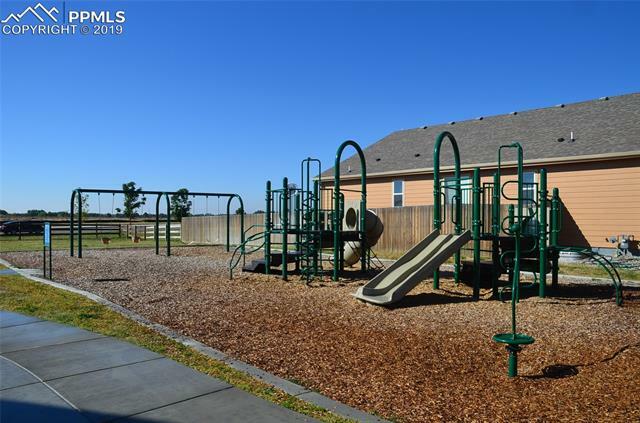 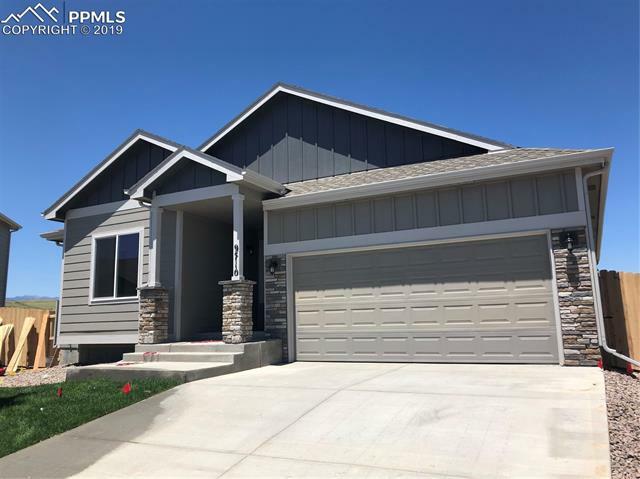 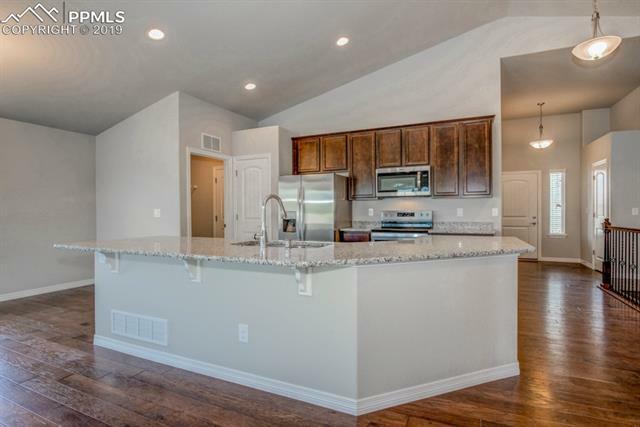 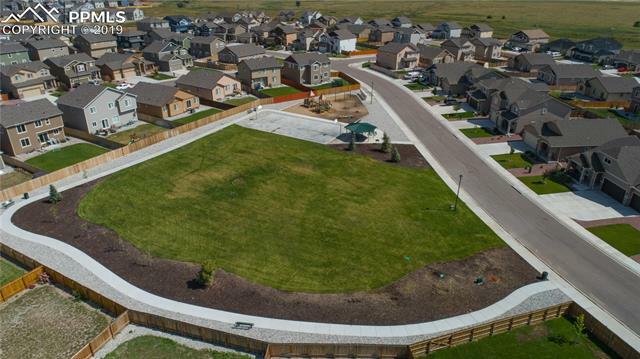 This Everest floor plan ranch style home is 3176 total sq ft w/ 5 bedrooms + 3 full baths & a huge finished bsmt. 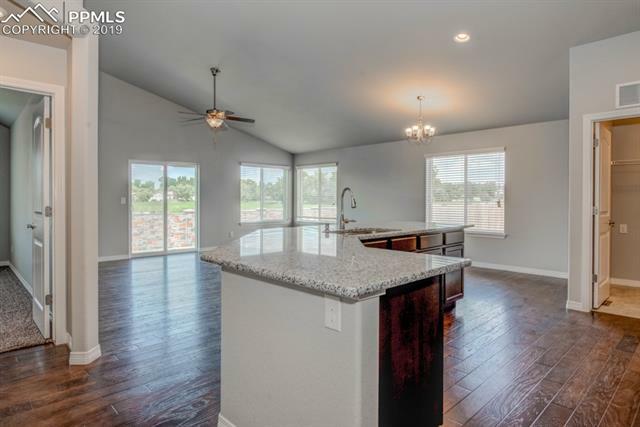 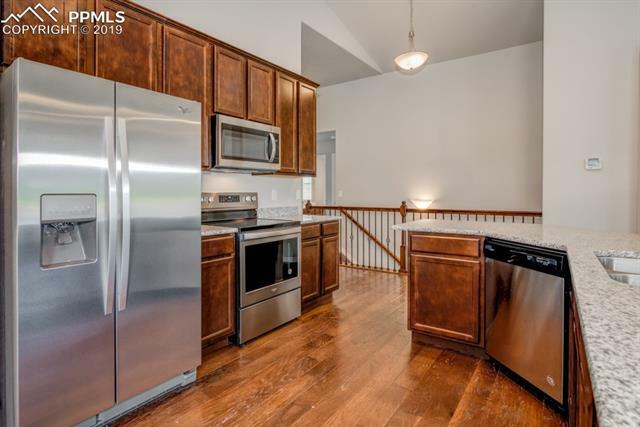 Hardwood kitchen/dining/great room w/ vaulted ceilings. 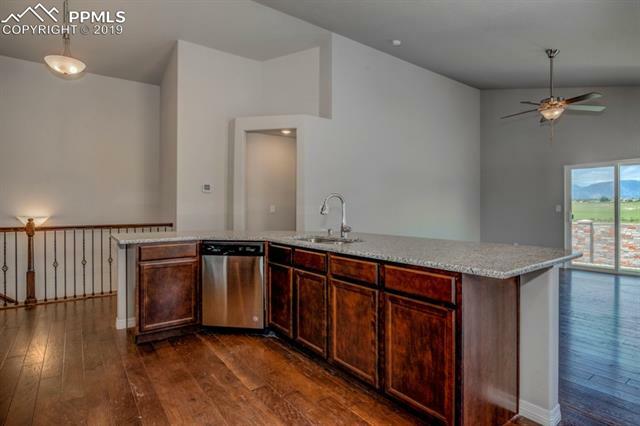 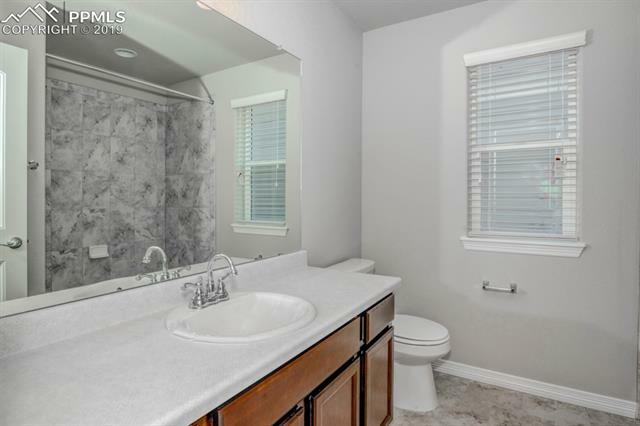 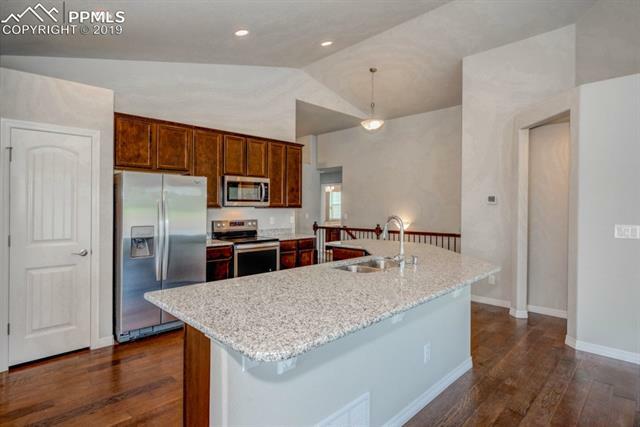 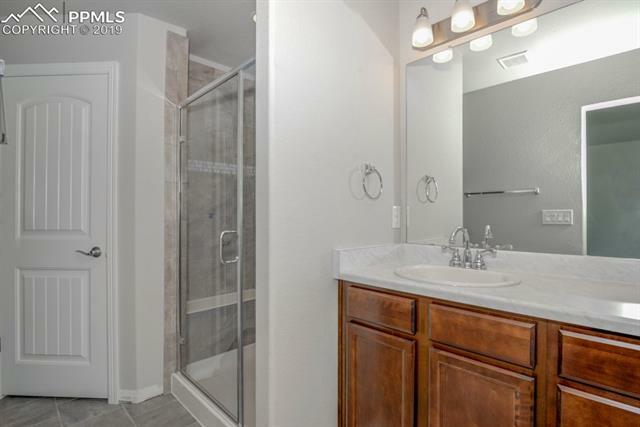 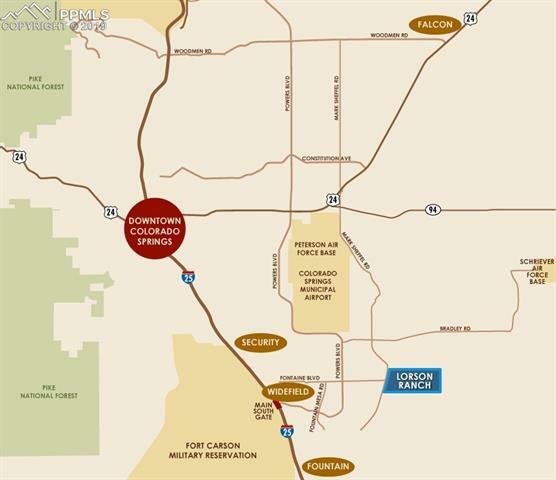 Stainless steel kitchen appliances & 42 upper cabinets w/ crown molding, kitchen island w/granite. 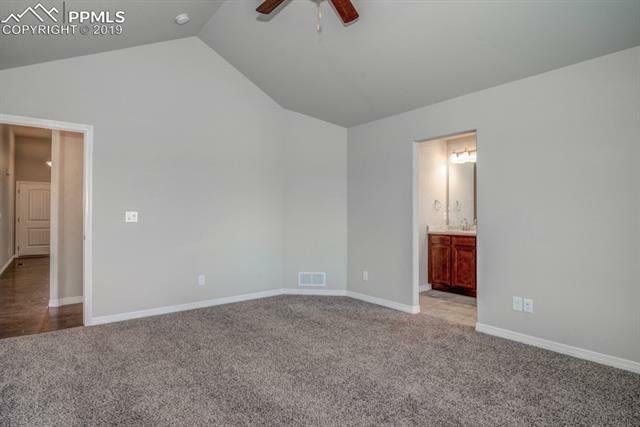 Vaulted master w/ 5pc bath. 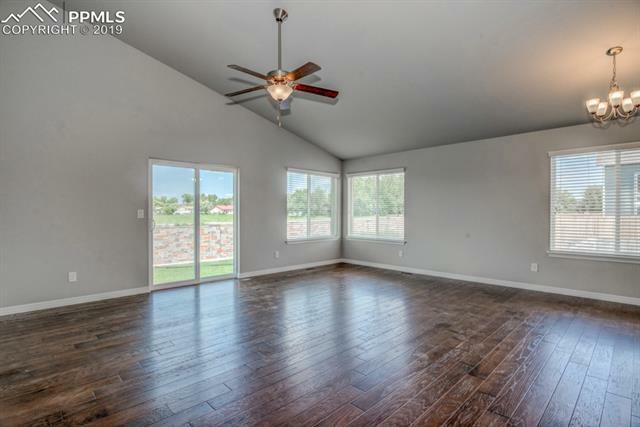 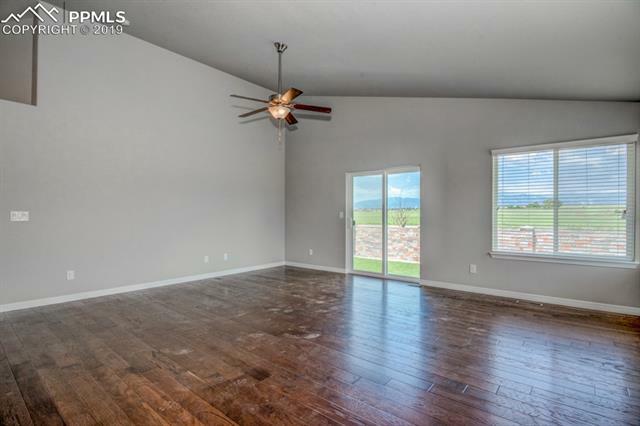 Recessed lighting in kitchen, lighted ceiling fans in great room & master. 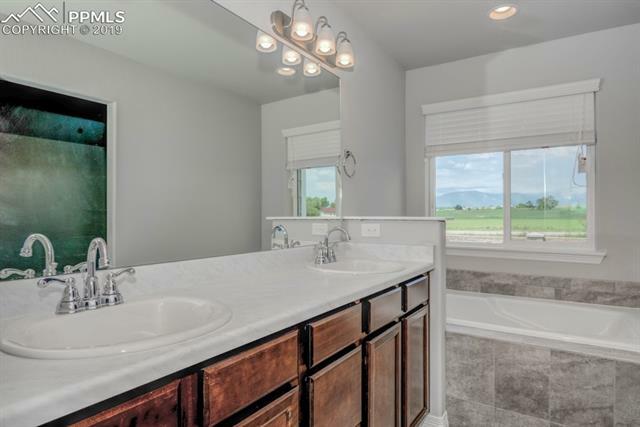 Ceramic tile baths & laundry, iron spindle rails. 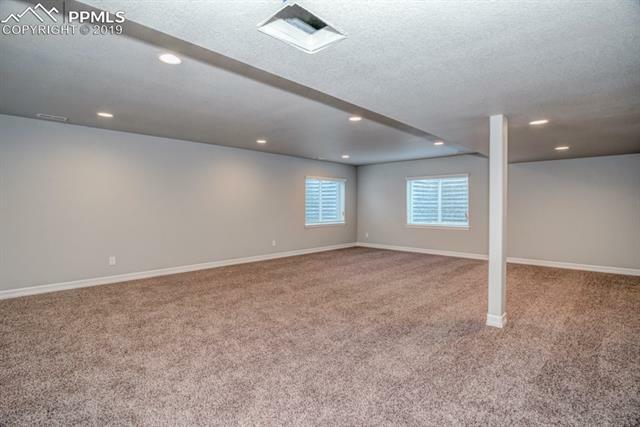 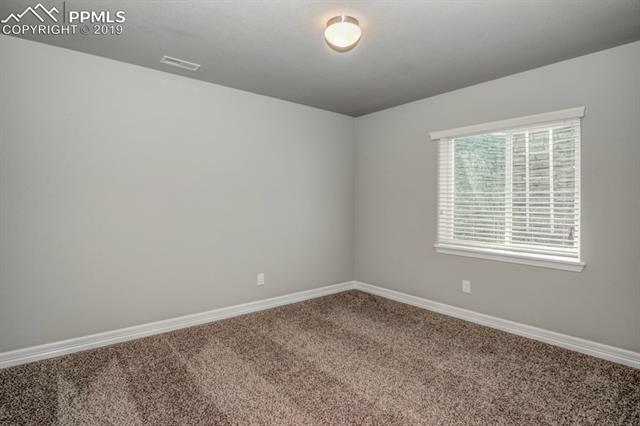 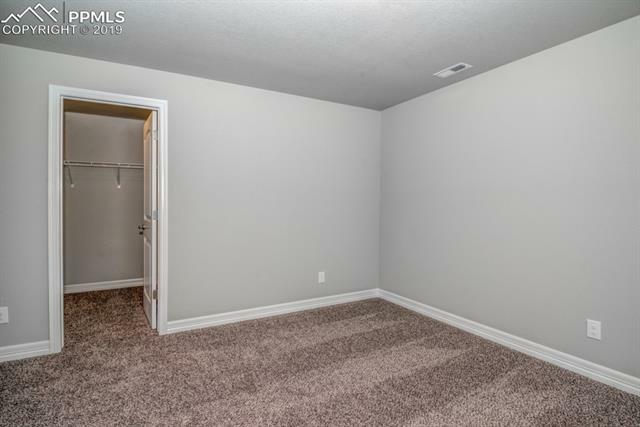 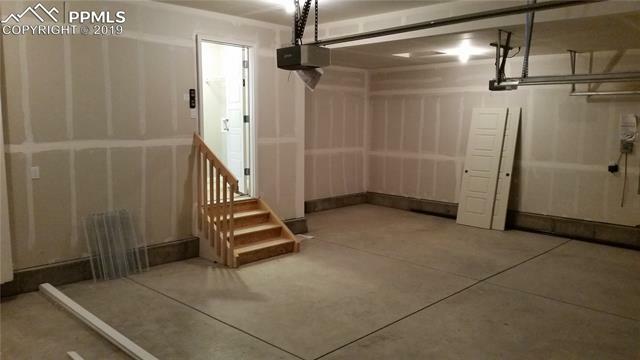 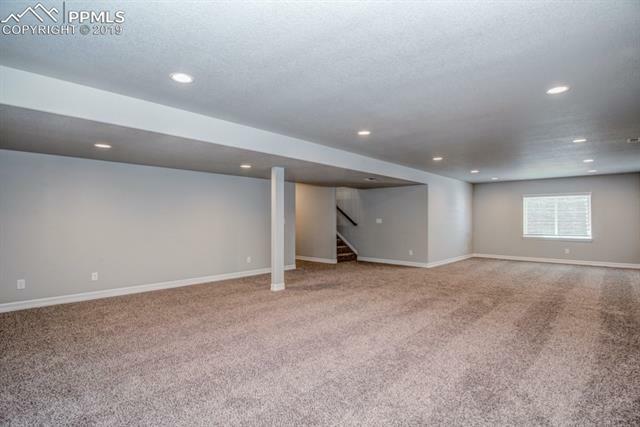 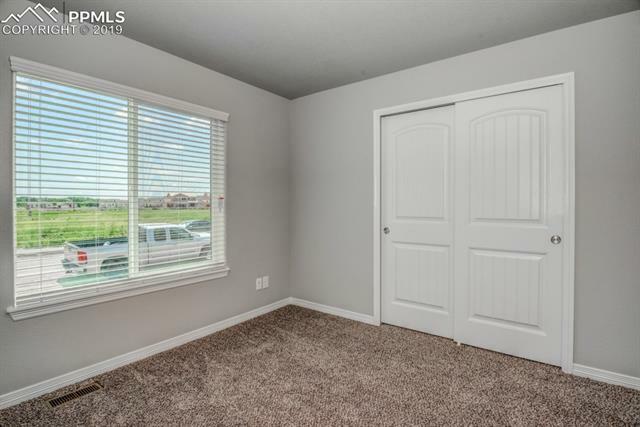 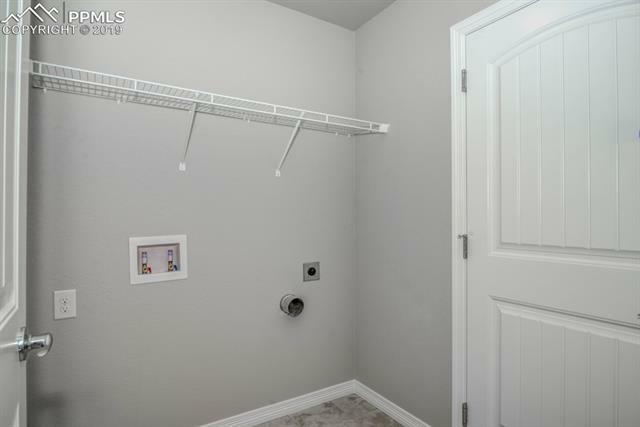 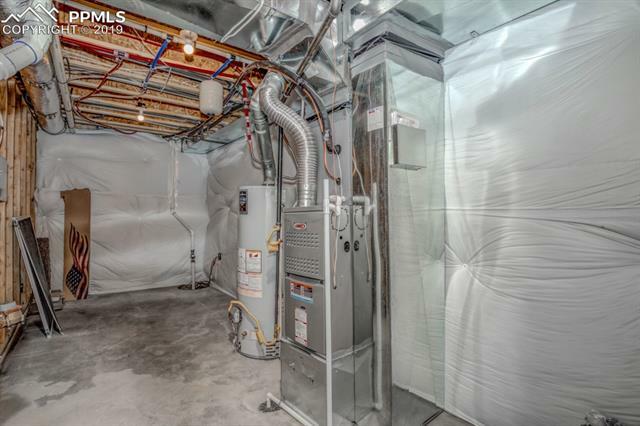 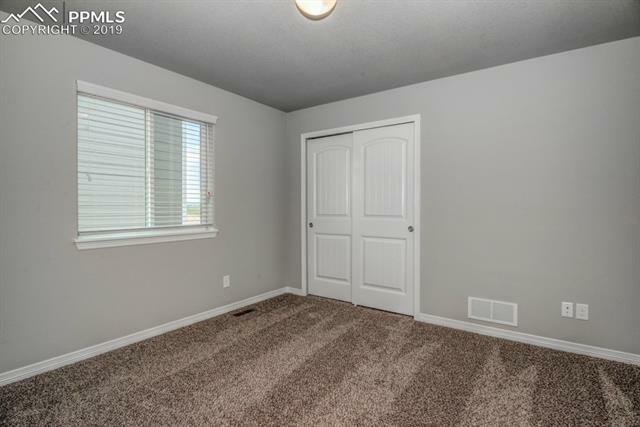 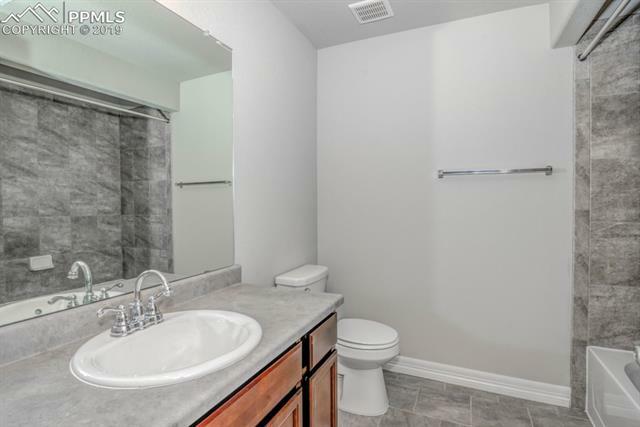 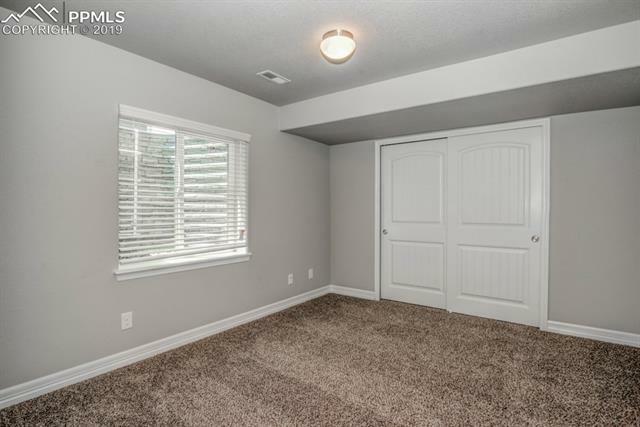 Open floor plan, spacious rec room, main level laundry. 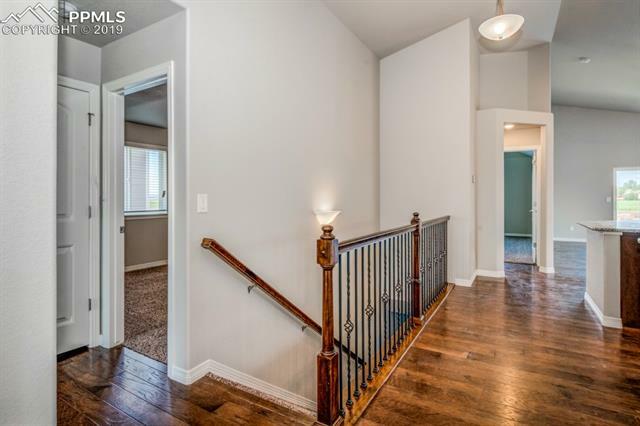 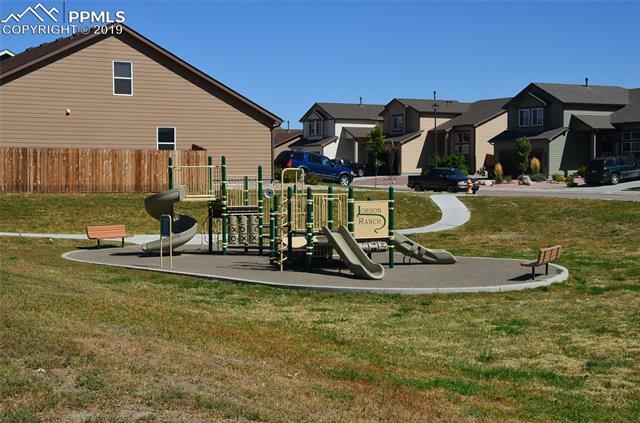 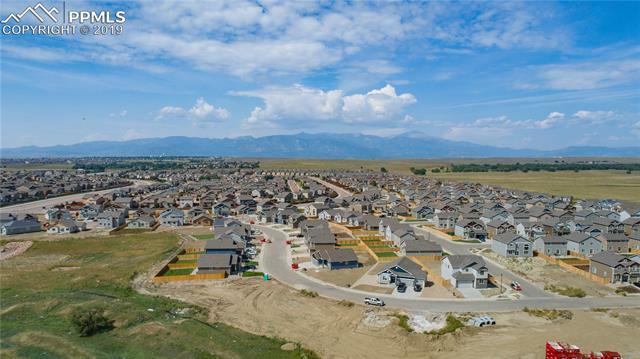 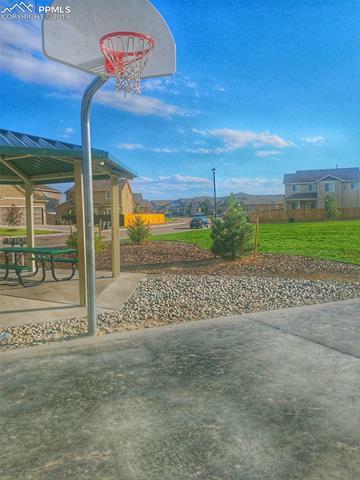 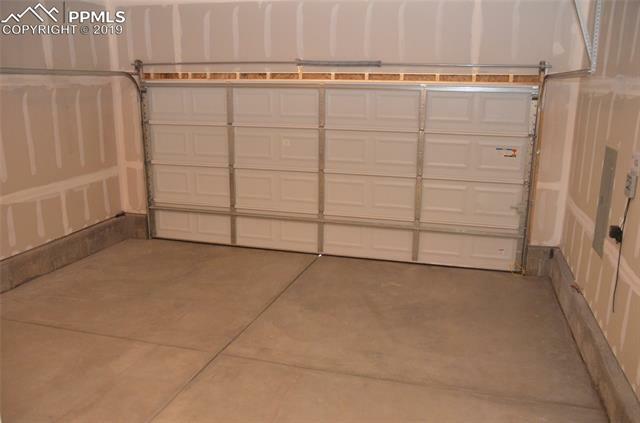 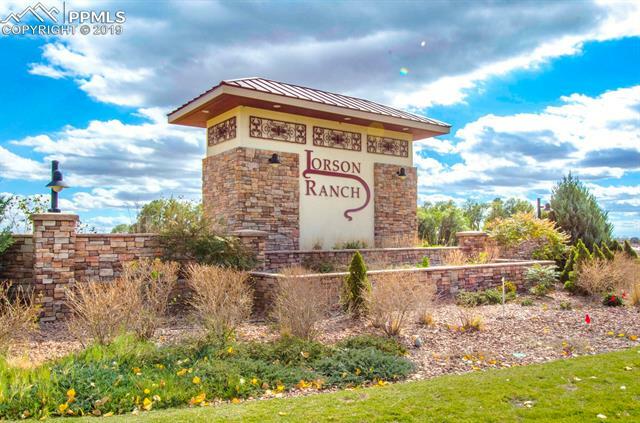 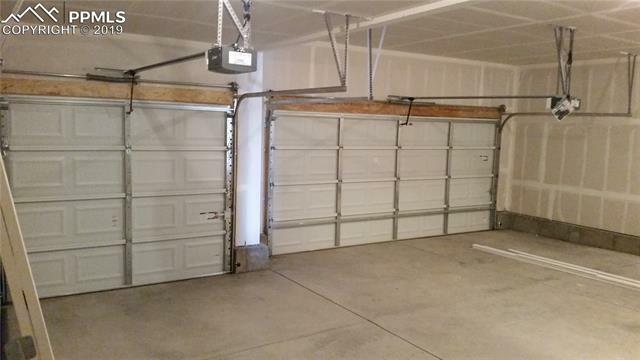 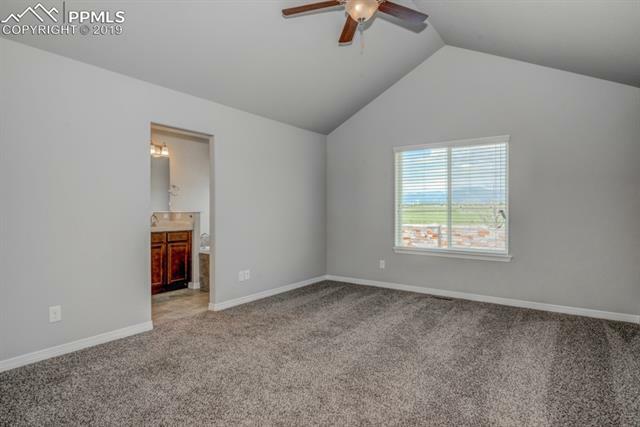 I would like more information regarding the property at 9710 Wishbone Way, Colorado Springs CO 80925 - (MLS #2619814).